The Oscar line from Alpinestars brings back some of the traditional retro styling of yesteryear blended with the performance and protection Alpinestars is known for. With a washed and waxed full grain 1.0-1.1mm cowhide construction, the Alpinestars Brass Jacket brings back classic rockabilly cafe styling in a comfortable and protective package. Removable CE rated armor in the elbows and shoulders and a pocket to add an Alpinestars back protector bring this classic jacket into the 21st century with the latest in soft armor technology. Pre-curved arms and stretch accordion inserts at the waist give the Oscar Brass Jacket a tailored yet dynamic fit that is at home in any riding position. From cafe to cruiser, riders of all sorts will enjoy this modern classic. Love the look, feel, weight, armor seems substantial. Zippers all heavy duty and smooth. Snap back button. 5' 10" 164 lbs. Large fits great. I did not want super tight-form fitting. It looks tailored but not baggy, just fits nice. Zippers on each wrist open up nicely for longer gloves. Cannot fit bulky gauntlet gloves underneath the wrists, even if unzippered all the way. Can put gauntlets over the jacket, but gets all bunched up because of the elbow armor and substantial leather thickness. I love the jacket. I got black and happy with black. The arm length so many say are so long, isn't as long as I expected. The jacket could still be worn off the bike and look great. I just got my first road bike in a long time, I got a R Nine T and wanted something that was true to the Cafe look, but being that this is my first road bike in so long it was key for me to get a jacket that had great protection. The protection didn't feel like it would conform best to your body say a Dainese and it felt quite bulky, so I decided to return it and start looking at the alternatives to this jacket. I bought the Oscar Brass Leather Jacket to wear while running errands on the motorcycle around town and for date night. I own four other motorcycle jackets, but this one is the best fitting. Some cool features not shown in the video include an interior zippered cell phone pocket, a second interior stretch mesh cargo pocket, and a key ring in the right hand-warmer pocket. The armor pockets are common sizes, and the back protector pocket will accept a Forcefield CE2 back pad for Dianese. I was originally looking at the RSD Ronin, but the Oscar Brass is more tailored, comes with armor, and is a better value. Sizing: I’m 5’9”, 160 lbs, 38” chest, 34” waist, and the medium fits perfectly. Although snug, there is room to wear a thermal layer underneath. Pros: The jacket looks awesome and definitely turns the ladies’ heads. The two accordion panels snug the waist without causing the leather to bunch up like other adjusters would. 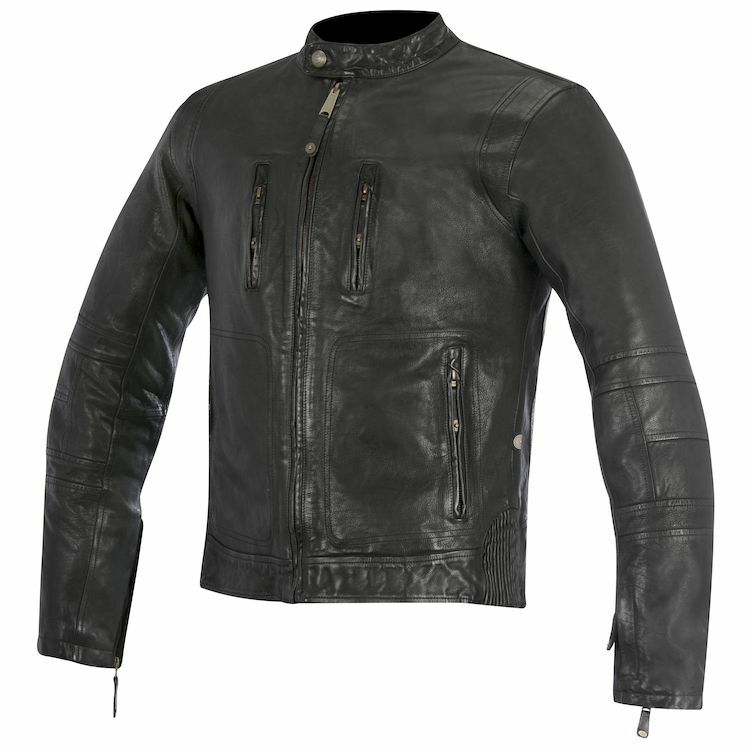 I like the shoulder gussets, which allow for ample stretch, because they distinguish this motorcycle jacket from other non-motorcycle leather coats. Cons: The opening of the back protector pocket is narrower than the width of the pocket. I wish the zippers were locking zippers. Gorgeous looking jacket, heavy as it should be, brass and leather smell all over the place. Fit is great, shoulder and back pad (purchased separately) are noticeable, but not that much. Beautiful and heavy gauged leather, and true vintage styling (even a bit uneven at some points) which would be a bit of a bugger to someone, but not to me, I ride this with a '79 Kawasaki so fits the mood. Size chart is spot on, with sleeves on the long side and overall a narrow feel. Great style with good function. Didn't end up buying this jacket here because of the awful value of the Canadian dollar, but wanted to contribute to the reviews anyway. I'm 5'9", 173 lbs, athletic build, about size 38-40 chest and a 32-33 waist. I usually wear a size medium in most things, but opted for a large after reading and watching the reviews. The sleeves are long, but I think a medium would fit too tightly around the chest. The jacket breathes okay, you feel noticeably cooler in the perforated areas, but some more venting would help for sure. Riding with the jacket open partially helps move air through pretty well though. The leather on the jacket is great, look, feel, even the smell. Pockets are good too, though I have yet to use the two on the chest. The change pocket on the sleeve is actually really deep, almost ridiculously deep. If you're looking for quick access to change, keep it somewhere else. These are all fairly minor points though. The jacket has awesome style and fits better than a lot of others I tried. There is some airflow with the perforation, and the stretch panel on the waist keeps it from riding up too much. It also has tons of awesome-yet-subtle details. The branding is minimal, and even where there is branding, it's very tasteful. I was also looking at an RSD Ronin, but opted for this because it comes with armour in the elbows, forearms and shoulders, while still managing to be notably cheaper than the Ronin. What's more, you won't run into too many other people wear this jacket. This Jacket is exactly what I was looking for! It has a classic style with modern features. I always wanted a brown Jacket for riding and this is it! It runs rather small though. I used the sizing chart which was accurate but the jacket was still a little snug. It works well enough for the summer riding. Though it doesn't have vents to open, it still breathes well and doesn't attract heat like my other black jacket does. Overall, great jacket with neat features, just a little small though. Jacket looks great and feels very comfortable. I've only worn it a few times but so far I'm very happy with it. 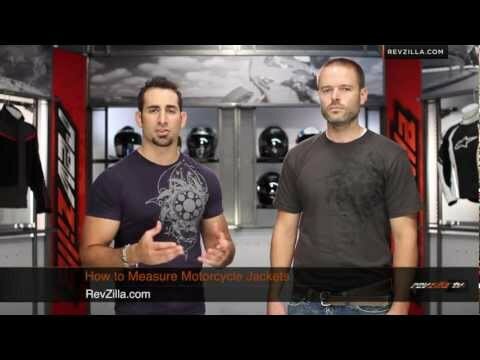 Was waiting for Revzilla to get this jacket in but when traveling in Europe the jacket had just arrived in a store there so I purchased it. In Paris there are multiple motorcycle/scooter stores all within 5 minutes walk of each other so I had the opportunity to try a number of other jackets I had been considering to compare. I tried the Dainese Mike, the Rev't Flatbush, the BMW Black Leather Jacket, among others and nothing fit as well as the Brass. I wanted a jacket that would protect but have off the bike style; I wanted a jacket that wouldn't gape around the neck and wouldn't look like you were wearing elbow pads under your jacket. The Brass met all these points brilliantly. The feel of the leather is soft just as described in the video but feels substantial enough that it would protect if necessary. The details are beautiful and the pockets well thought out and functional including the coin pocket on the left forearm. I purchased the brown but I also looked at the black which is equally attractive. Can't say much about durability since it is a new purchase. Tried the recommended back protector and other options and all were obvious when installed taking away from the appearance; this is forgivable and not surprising given the simple contour of the back of the jacket. I am 6' and 175 lb with athletic build and the large fit perfectly. All in all a fabulous jacket. Well done Alpinestars! I liked the reviews and looks like a good jacket. Finally a decent retro bang up to date old school leather jacket from Alpinestars......its about time !!!! Hello,I am 6'3" 200 lbs and I have a 44" chest.should I buy a size xl or a xxl? What options are there for back protection? I'm 5'6", 145 lbs so I feel like I'm qualified to answer this. The Brass jacket fits fairly well on me. If I'm being picky, the sleeves are a little large for my arms and the trunk is a little snug. But this probably has more to do with my developing beer gut and string-bean arms. I feel like the sleeve length is a tad long but nothing I could complain about. Most jackets have more sleeve length than I can use (probably falls to about to my knuckles when my hands are by my sides). The leather itself is great. Soft feel but has great substance like a motorcycle jacket should. The front chest pockets might be good for paper items, the sleeve pocket it too big to be useful. But this jacket isn't about being practical - it's about looking cool. Went with the Small size. Certainly wouldn't go with Medium. I'm 5' 7", 150 lbs- slim with muscular build. 38" chest, 31" waist measurement. I bought the Small in this jacket and I like it a lot. It was tight across the chest and upper back for the first few hours I wore it but now feels great. The waist area is not super-slim, but good. I think you'll find it fits well. I tried the RSD Ronin before and as much as I liked the design the Medium was too big and the Small too tight. I am about that same size, 1.5 inches taller. I have a small. Fit is great around the chest and neck but the sleeves are just a hair long. Short cuff gloves work great but gauntlet gloves over the jacket are a little uncomfortable. Big enough that I can wear a hoodie underneath, but looks good with or without layers. does this jacket have a thermal lining or is it warm in cooler weather? BEST ANSWER: There is no thermal lining. It is definitely a bit warm in hot weather. Anything above 75 Fahrenheit starts to get a little toasty. Unzipping the coat helps a lot though. The written description of this jacket states that it has a sleeve coin pocket but there is no mention of this on either the video review or the pictures; is this in fact a feature? BEST ANSWER: You can see the pocket in the video on his lower left sleeve. It's an extra fold and zipper that doesn't show on his right arm. Is the 1.0-1.1 mm cowhide a good thickness if you were to go down? BEST ANSWER: I can't comment on the specific science of this, but the leather used feels very thick and heavy, in a good way. Every bit as heavy as many other jackets I've tried on, and I tried on many looking for one with the right fit for me. Do the chest pockets double as vents?